ServicePower Technologies Plc (AIM: SVR), a market leader in mobile workforce management software, has again been named by Gartner as a Visionary in its 2016 Magic Quadrant for Field Service Management (FSM), by Jim Robinson, William McNeill, Jason Wong, Michael Maoz. 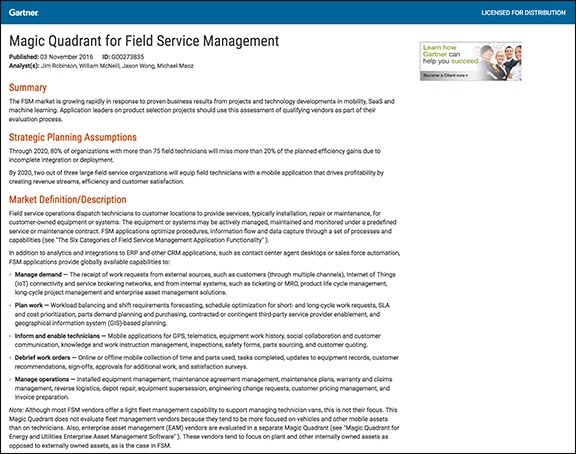 Published by Gartner on 3 November 2016, the Magic Quadrant for Field Service Management has recognized ServicePower as a visionary based on its completeness of vision and ability to execute.Based on decades of execution in the field service and mobile workforce management sector, ServicePower drives innovation in the FSM market with the latest in schedule optimization algorithms, Quantum Annealing, and Optimization on DemandTM which offers any business the efficiencies of schedule optimization in conjunction with any CRM or ERP. ServicePower also offers NEXUS FSTM which provides end-to-end field service management to any business, including our connected ServiceOperations service provider network, the latest innovations in M2M, and enterprise mobility required to maximize productivity, efficiency, customer satisfaction and ROI. Recent documented client studies prove a ROI in ServicePower, including 29 percent productivity increase and a 32 percent return on its investment in ServicePower’s mobile workforce management software platform. 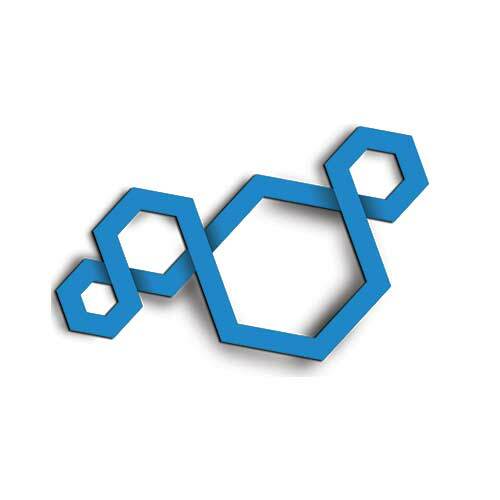 In another example, a client gained a 25% productivity increase using Optimization on Demand in conjunction with its existing field service management software. Our visionary mobile workforce management platform, offered as an integrated multi-labor platform, Unity, enables mobile workforce organizations to evolve; supporting new business models and revenue opportunities including proactive, predictive and outcome based services while achieve the highest productivity levels.